If you’ve always wanted to start your own business but you’re not quite ready to strike out completely on your own – franchising can offer a tried and tested business model, ongoing help and support, and greater access to finance. What’s not to love? And it’s a sector that is scaling rapidly. Over 44,000 operations on the high street are currently franchises, and in the last year alone, the sector contributed £15.1bn to the economy – an increase of 46% on the previous 12 months. Couple that with the exploding health and fitness sector and you’re really on to a winner. With the UK arguably more health conscious than ever, gym memberships were up 44% last year, health and fitness franchises are spreading like wildfire across the UK. With franchises said to have a 15% higher five-year survival rate than start-ups, and one in five consumers more likely to buy a product or service from a franchise according to a recent report, it remains a solid business opportunity for 2016. Franchises also tend to generate profits almost from the off. According to a recent survey by NatWest, 97% of franchisees interviewed were profitable. There’s somewhat of a misconception that becoming a franchisee is for the less-ambitious, would-be-entrepreneur too. On the contrary, the current market shows that while the number of franchisees has actually declined, this is because each franchisee is taking on more units. One in five existing franchisees are expected to grow their operations in the next 12 months. And this growth pattern is particularly evident in the health and fitness sector, with Pure Gym a shining example. The fitness chain is speculated to be preparing for a whopping £500m stock flotation. With an increasing number of well-known US fitness brands now entering the UK market – and the UK in the midst of an obesity epidemic not unlike America (70% of adults will be overweight or obese by 2034) – the timing is ripe to join a business promotes a healthier lifestyle, and will let you make a real difference to people’s lives. You certainly won’t be short of choice when it comes to joining a health or fitness franchise. In the last year or so alone, we’ve covered the expansion of established franchises such as A-Star Sports and Sports Xtra which merged to enhance their offering, Yoga Bellies, Mini Monkey Gym and Little Kickers to name a few, as well as the launch of a host of brand new names. Fight Fit Combat Fitness, Ready Steady Go Kids and Boogie Bounce all launched franchise opportunities recently. The first decision you’ll need to make then is whether you’re looking to join a long-running brand or a fresh-faced franchise. Both offer good opportunities for 2016 – but they are very different propositions. Choosing a big business comes with obvious benefits: vast quantities of expertise, an established model and consumer recognition (and therefore the potential for a highly lucrative turnover) but the structure will probably be fairly rigid, giving you less entrepreneurial freedom. The latter option is definitely riskier, but the chance for rewards are also greater. If start-up capital is an issue too, this may be better for you. You’ll almost certainly pay a lower joining fee as the franchisor will need to attract early-adopters. Another consideration is the different verticals on offer. Following the success of brands such as payasUgym, budget gyms are said to be growing faster than any other part of the sector, roughly 200% since 2011. Children’s sports and coaching franchises also offer massive market potential, children’s wellbeing is a major priority for parents in the UK – with the sector growing to an £11bn market for extra-curricular programmes. Franchises that capitalise on the latest fitness trends could also be worth exploring. 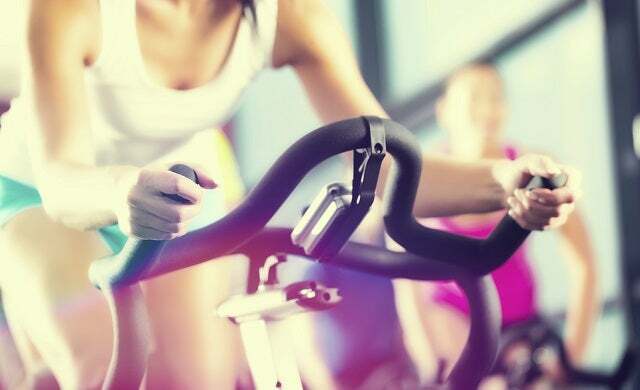 In the US, a new fitness craze based on Bollywood movies is taking off while immersive fitness is gaining traction in the UK with spin classes that will transport you to another universe. Of course, with the speed at which fitness trends come and go (crossfit is old news already apparently – now it’s all about movement!) you may find there’s a fitness trend you want to work in that doesn’t currently have a franchise opportunity. If you’re feeling ambitious and are convinced of the market potential, there’s always the option to create a new business that you plan to franchise down the line. “One of the bigger [franchising] growth sectors is gyms and health clubs, from low-cost, no-contract models to big brands and large outlets in town centres. “It’s a growing marketplace – arguably the UK population has never been so health-conscious and fitness franchising has been big business for a while now.